RT Clarion - February pattern from popular developers RocketTheme for Joomla 1.5 and version 2.5. This template works on a powerful platform Gantry Framework, which provides a great deal of functionality with the ability to conveniently adjust all the layout options through the admin panel. There is support for additional extensions in the studio as well as component K2 c display different styles. 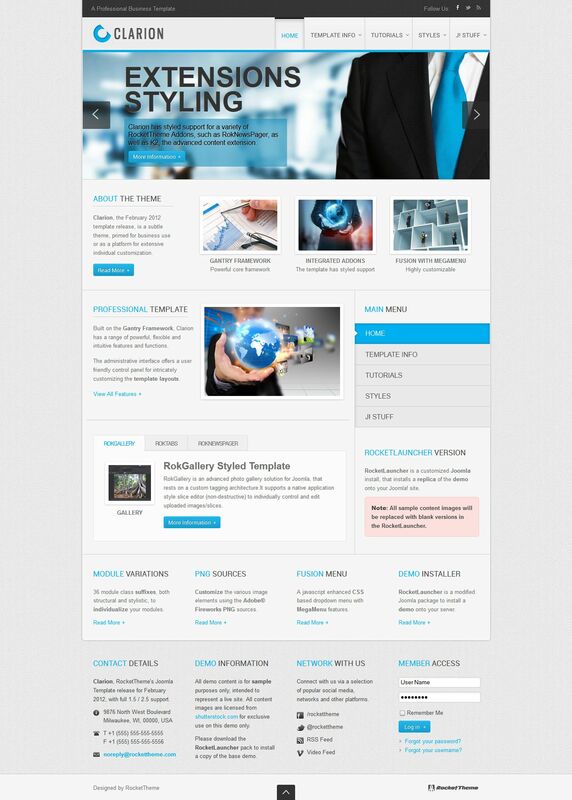 Template design is ideal for creating business websites.